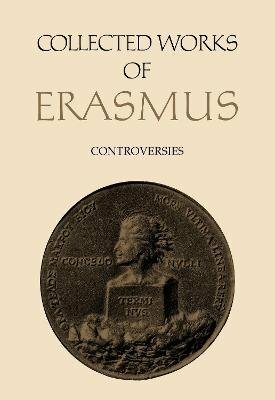 Erasmus' controversies with French, Italian, Spanish, and German critics on theological, social, philological, educational, and other matters are contained in volumes 71-84 of the Collected Works. CWE 76 includes two of his most important disputes with Luther, A Discussion of Free Will and the first part of the Hyperaspistes (usually translated as 'protector' or 'shield-bearer'). Erasmus writes in response to Luther's The Enslaved Will and rebukes Luther for what he considers his high-handed arrogance and his insulting charge that Erasmus is an atheist. In CWE 76, Hyperaspistes 1 deals with a number of general considerations in approaching the question of free will. In CWE 77, Hyperaspistes 2 examines in detail the biblical passages put forth in defence of free will in A Discussion of Free Will and Luther's refutation of that defence in The Enslaved Will. In these two volumes of bitter dispute with Luther, Erasmus shows once again that he is a humanist in his theology and a theologian in this humanism. Volume 77 of the Collected Works of Erasmus series.